Mumbai: As the BJP-led government in Maharashtra sails into its third year in office, Chief Minister Devendra Fadnavis's clean image is widely seen as its single most positive aspect despite many internal and external challenges it faces, including frequent taunts by ally Shiv Sena and the campaign by Maratha community for reservation. Most political observers preferred to rate the performance of the government in the last two years as "mixed". Despite his good intentions and development thrust, Fadnavis's efforts have not yielded desired results for want of proper support and push from his team. 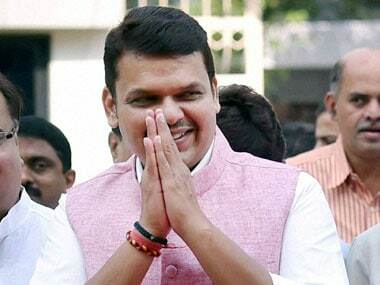 Fadnavis, 46, was sworn in on 31 October, 2014 with the BJP emerging as the single largest party, though short of absolute majority, in Assembly polls. The BJP and Sena had parted ways on the eve of polls and the Ministry was offered outside support by Sharad Pawar-led NCP. Sena, however, returned to the alliance a few months later. Unlike some of his ministerial colleagues, Fadnavis has remained untouched by allegations of misconduct. Virtual No 2 in the Cabinet, Eknath Khadse, had to quit after coming under the cloud of allegations earlier this year. Opposition Congress and NCP, however, declined to set great store by Fadnavis's personal charisma and unsullied reputation, alleging he has been shielding some of his colleagues facing allegations. Observers point out that another plus point of Fadnavis is he enjoys the trust and confidence of the BJP's central leadership, as was demonstrated by the Khadse episode. Though some of his BJP colleagues in the Ministry like Vinod Tawde and Pankaja Munde nurse Chief Ministerial ambitions, they are no real threat to Fadnavis, they added. "BJP calls itself a party with difference, but it has not been able to show that its first ever government in Maharashtra is a Government with a difference. They also said Fadnavis should not have given clean chit to Ministers facing allegations," they said. One major issue over which the BJP and Shiv Sena had frequent face-off was the Vidarbha statehood demand. While the BJP favours smaller states, the Sena is opposed to bifurcation of Maharashtra to create a separate Vidarbha state and often took sharp dig at Fadnavis, who hails from that region. In a veiled reference to the Vidarbha issue, Sena MP Sanjay Raut told PTI that the Government should implement the agenda for united Maharashtra and not the party's (BJP) political programme. Another front that Government had to face attack from the farm sector distress, caused mainly by the grim drought faced by Marathwada and other parts of the state in the previous years. The agrarian crisis is also seen to be one of the factors that prompted the predominantly rural Maratha community to hit the streets across the State in the form of 'silent marches' seeking reservation in job and education besides a slew of other demands. "Farmers' situation has not improved in two years. This year rains have been good but the government cannot take credit for the same. Social equations have suffered and the government has failed to stop the attempts to disturb social harmony. There have never been such caste tensions earlier," Raut said. Sentiments of Marathas in organising silent morchas should have been considered. 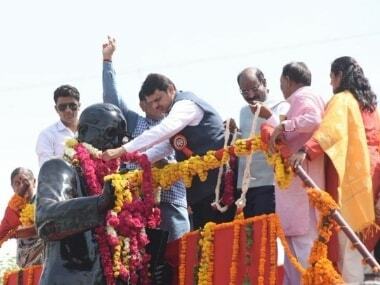 Instead, similar morchas of non-Maratha communities are being organised in different parts of the State, he said. Fadnavis, however, is not seen to be facing any big challenge from within his party or ally, despite occasional hiccups, especially since he enjoys a good personal rapport with Shiv Sena chief Uddhav Thackeray. "Uddhav Thackeray is fully supporting the Chief Minister," Raut said. More recently, Fadnavis came under a grim attack from various quarters for mediating between Raj Thackeray and Karan Johar to facilitate the release of "Ae Dil Hai Mushkil", after MNS threatened to block it for featuring a Pakistani actor. 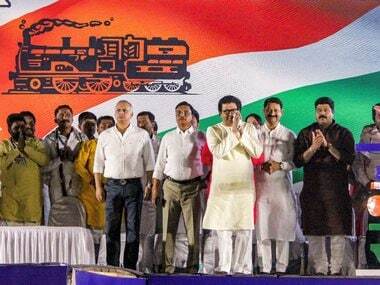 Fadnavis's camp, however, justified his act, saying his intentions in brokering a truce were genuine since he felt there should be no tensions during the festival season. previous administrations on that issue. BJP had levelled allegations against Ministers in the Congress-NCP Government and even on basis of perception, Congress had sacked its Chief Minister and ministers, Congress leader Anant Gadgil told PTI. But, half the members of present Ministry are facing allegations of corruption and the Chief Minister has refused to act, he said. "Eknath Khadse's removal from the Cabinet had more to do with internal politics of BJP rather than probity in public life," Gadgil said. 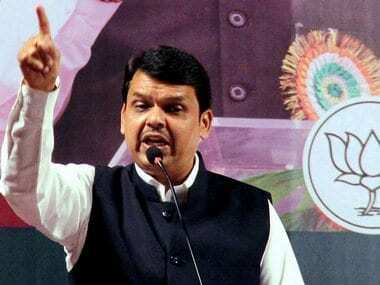 Though there is no immediate threat to his position, for Fadnavis coming months are going to be crucial as the stage is set for local body polls across the State, seen as a "mini general election." 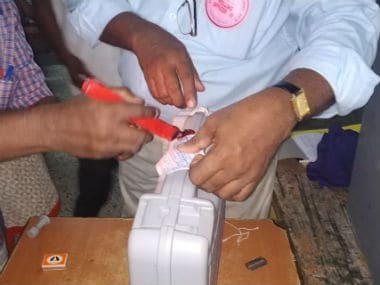 In all, 212 municipal councils and nagar panchayats, 27 zilla parishads and 10 municipal corporations, including that of Mumbai, will go to polls in the next few months. Much to the dismay of Opposition, the BJP and Sena have already clinched a pact on civic polls, though the two parties are yet to work out the arrangement for the crucial BrihanMumbai Municipal Corporation, the biggest and richest civic body in the country boasting of an annual budget of over Rs 37,000 crore.